Orange County real estate treasure The Bolsa Chica Wetlands in Huntington Beach provides the local community with an outdoor space ripe with wildlife and natural beauty. Miles of hiking trails provide the opportunity for locals living in Orange County homes to study a unique ecological system. Right in their own backyard marine life is abundant. And, bird watchers can spot many of their feathered friends with a Bird Identification Checklist available online. Inside the Bolsa Chica Interpretive Center visitors can learn details about the plants and animals making this land into their Orange County homes. One area of the center is dedicated to sea life. Two salt water aquariums host various marine creatures native to the Southern California coastal area. Several species of stars may be viewed including Ochre Stars, Giant Spined Stars and Bat Stars. Youngsters love to find the California Spiny Lobster and Striped Shore Crabs among other interesting critters. A second section of the building showcases reptiles. Various snakes are represented such as California Kings and Coastal Rosy Boas. Guests are often able to watch live animal feedings. Caring for the environment is a big commitment. Those wanting to assist in local efforts can participate in Public Service Days the second Sunday and last Saturday of each month from 9 a.m. to 12 p.m. Open to volunteers ages 6 and up this continued effort makes an impact on the neighboring habitat. 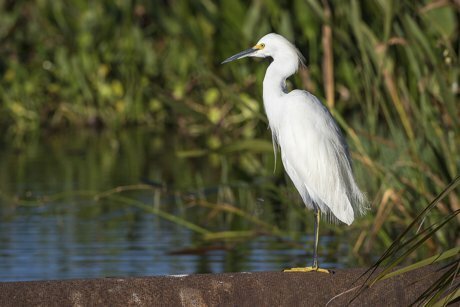 The Bolsa Chica Interpretive Center is open seven days a week from 9 a.m. to 4 p.m. Stop in before heading out to the wetlands. 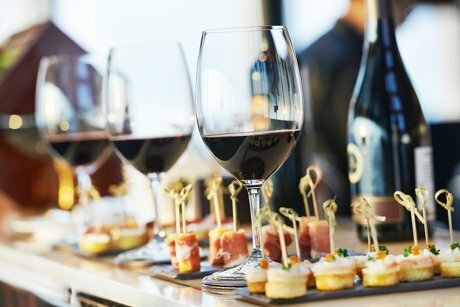 Fine dining on Orange County real estate is both distinguished and unique at The Hobbit Restaurant in Orange. A multi course meal is presented to elegant guests in a warm and refined setting. In true hobbit fashion the evening begins bottoms up. An exquisite culinary journey originates with hor d’oeuvres in the wine cellar. The second course of fish, light meat or fowl and salad is then enjoyed back above ground in the dining room. After this simple selection patrons are encouraged to stroll about the patio or to stop by and get to know the chefs in the kitchen. When the third course begins a refreshing sorbet is offered to first cleanse the palate. Diners will want to savor the main course. Entree selections vary weekly and are truly a culinary delight for those living in Orange County. Upcoming entrees creations include Beef Wellington, Tarragon Crusted Loin of Lamb and Filet Mignon with Morel Mushroom sauce. Fish substitutions are available with prior request. Dinner winds down with a decadent dessert and after dinner drink. Reservations for The Hobbit Restaurant are required and can be made by online or by calling 714.997.1972. A truly sophisticated evening awaits on this quaint piece of Orange County real estate. Critically acclaimed and award winning, this is the perfect location to celebrate the spirit of a romantic evening or other special event. Children who live in Orange County have a thirst for knowledge. The Discovery Cube Science Center on Main Street in Santa Ana is happy to welcome their inquiring minds. For over thirty years, the museum has strived to encourage education through a love of science. Exhibits, displays and special programs are designed to be thought provoking and stimulate interest. Two floors of interactive exhibits on this Orange County property keep kids educationally entertained. Simulators shake and roll, sway and blow. Guests can experience a classic California earthquake in the Shake Shack, and then check results on an actual seismograph. Storm chasers can then ride the winds of a hurricane. Little ones love to stretch their bodies as well as their minds. The climbing wall presents the perfect opportunities. Soar to the skies with a virtual helicopter tour and delve into the world of aerospace in a recreated jet propulsion lab. Parents will love to take a break in the Discovery Theater with a short film focusing on scientific subjects. Penguins 4D and The Lost World 4D are currently showing. There’s always something new going on at the center. Themed exhibits rotate and often focus on classic interests of kids who live in Orange County. Upcoming presentations will include Spooky Science, The Science of Gingerbread and the ever popular Pumpkin Launch. 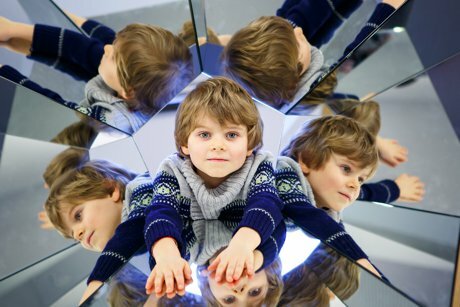 Will all the happenings a membership to The Discover Cube Science Center is a no brainer. Membership perks include unlimited admission, discounts and member events. Memories will be in the making time and time again. March 25th 2016 - Namneet Dhaliwal, Broker President Zone Realty Inc.
Real estate market in Brea, CA is experiencing a shortage of homes for sale. Inventory is low compared to normal levels. Currently there are 61 active homes for sale. 66 pending and 25 backup which makes for 91 homes under contract. 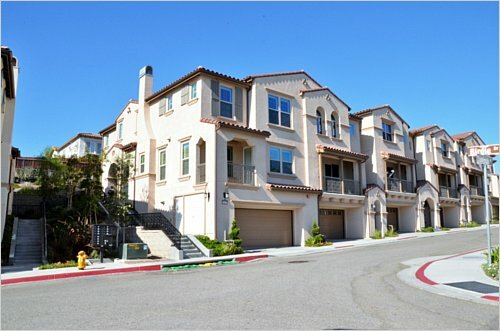 Out of these only 23 homes including town homes and condos are under $700,000. 15 homes are above one million dollar, and rest are between $700,000 to $1,000,000. Although this economy is different than the 2006, and buyer mentality is different, this reminds of that time, when interest rates were bottom low which resulted in inflated prices. Caution to buyer! buy what you can afford. Caution to seller! price reasonably you will sell, if you been thinking of selling and was holding off for market to get better. This is the time to take a leap. March 1st 2016 - Namneet Dhaliwal, Broker President, Zone Realty Inc. Inventory and days-on-market are both moving upwords. At the same time coming spring buying season will push for some increased demand. It could temper the negative trends. 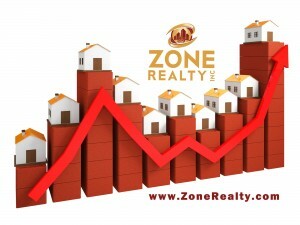 In the last few weeks the market have been on stand still in terms of sales to inventory. However, inventory is sufficiently low to keep us in the Seller's Market zone so watch changes in the Monthly Available Inventory. If the market heats up, prices are likely to resume an upward climb. The market appears to be staying around this plateau. Look for a persistent change in the Market Action Index before we see prices change from these levels. For more information about real estate market in Brea CA contact us directly at www.zonerealty.com You can get a personalized more in depth evaluation of your home and neighborhood area for FREE directly from the Broker who have done thousands of Broker Price opinions.Find more about Brea city at our page Homes for Sale in Brea. Here you can find about recently sold homes in your neighborhood, Brea Schools, Brea Golf Course, Brea shopping at Brea Mall, Brea Historic Places, Brea Art, Brea neighborhoods such as Brea Vista, North Hills, Country Hills, Olinda Ranch, Blackstone Communities etc. For more information about Brea you can visit Brea Chamber. Happy Thanksgiving from Zone Realty, Inc.
To all, Families, friends, past clients, future clients, vendors, to all who have shared any kind of relationship with Zone Realty, inc., who have influenced and touched Zone Realty, Inc. and its members to help people, to be better in order to serve our communities. We are very thankful for your support, and wish you all the best, and a very Happy Thanksgiving. Having a pair of experienced eyes consider aspects that are not easily quantified can make a big difference. A skilled professional can tell which properties are truly comparable. A knowledgeable expert can recognize features, floor plans and other things that can affect value but are difficult to quantify. The most important factor is neighborhood knowledge of individual performing the home evaluation, and the quantity and quality of this process. Prices can vary greatly depending upon the schools, other business around the property, over all number of homes on the current market, number of homes in pending status. These things are important to determine the future value of the property, even if that future a month or six months from the time of valuation. Even if a person isn’t ready to sell their investment, they like to know its value. It is easy to find the price of stocks or mutual funds on any given day but the value of a home is more difficult. An expert opinion is valuable, to avoid the lengthy time on the market, to get the highest and best price and to sell the property in a reasonably quick time. Global and discreet knowledge of this process is very important, and it demands experience. Most people wonder if they should get a 15 year loan vs 30 year loan. Affordability and stability are reasons homebuyers choose a 30-year fixed rate mortgage. Along with it, 15 year loan have lower interest rate as compared to 30 year loan. It makes the payment lower than a 15-year mortgage and the principal and interest portion of the payment will be constant for 30 years. By choosing a 15-year loan, a borrower is committing to the higher payment for the term of the mortgage in exchange for a slightly lower interest rate. Another approach would be for the borrower to acquire a 30-year mortgage and make payments as if it were on a 15-year term. The slightly higher rate would allow the borrower the flexibility of not having to make the higher payment in the event he could not afford it on any particular month. Especially, in low rate environment this approach is more favorable. For people with small children and college age kids, this could spare up some money for education. Once the income grows higher or obligations are met, payment can be increased to pay off the mortgage earlier. A variety of factors have led to a shortage of rental units, especially single family homes, and as a result, rents have been steadily increasing nationwide. In most markets, it is considerably less to own than to rent. Real cost of housing is much less than most people think. Some times a friend or family member wants to buy a house, they ask you to co-sign on a loan because they don’t qualify. They assure that they’ll make the payments, they’re quite convincing and very appreciative. You don’t want to disappoint them and after all, it’s not like it’s going to cost you anything…is it? Think of it this way. Purchasing a home is a commitment. They couldn’t get a loan unless you co-sign for them. If they don't make the payments, the lender is going to look to you to repay the loan plus late and collection fees. The lender may be able to sue you, file a lien on your home or garnish your wages. If you have to be involved, consider finding out how much mortgage they are getting, if they will be able to afford it. You can calculate it right here.